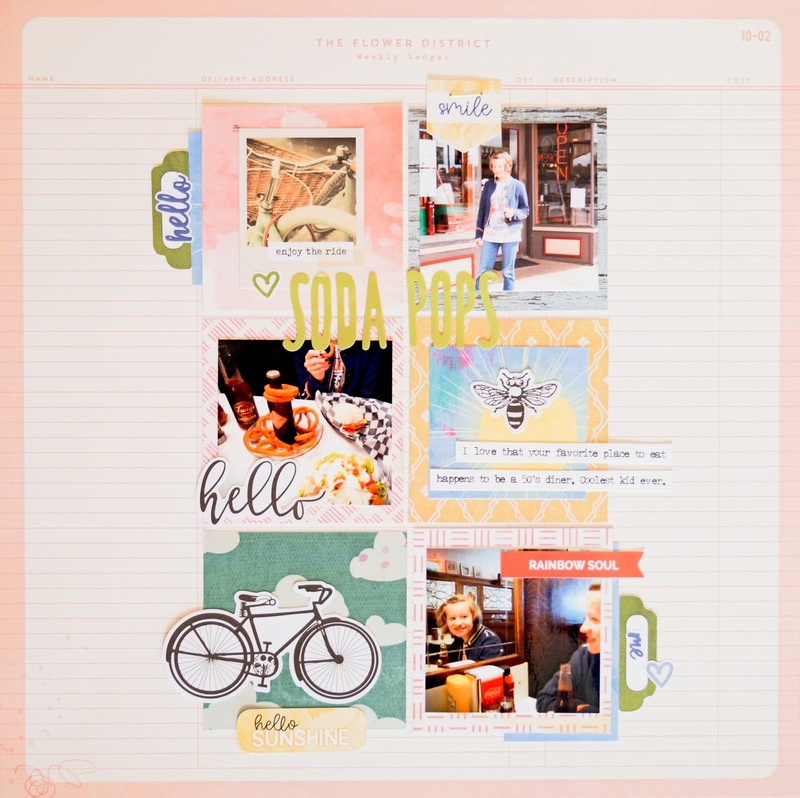 Okay, this may be my favorite layout created this month...I LOVE it!! The colors are so happy, I am totally digging the die cut title that I cut out using my Silhouette machine too. It's a design made by Paige Taylor Evans and is available here for download. I fussy cut the colored patterned papers for each letter by tracing the letters with a pencil (using the die cut as a stencil). It took a little bit of time but the end result was totally worth the effort. Again, I used lots of those epoxy stickers from the March Cocoa Daisy kits (they are available in both the 12x12 Memory Keeping kit and Pocket kit this month). Love them! My journaling for this layout is sharing how it is that we are currently feeling about homeschooling. It's nothing short of awesome...working on this page made me realize that I need to do more pages sharing about our adventures in homeschooling! We've been homeschooling now for almost two years and it looks like we are going to continue. 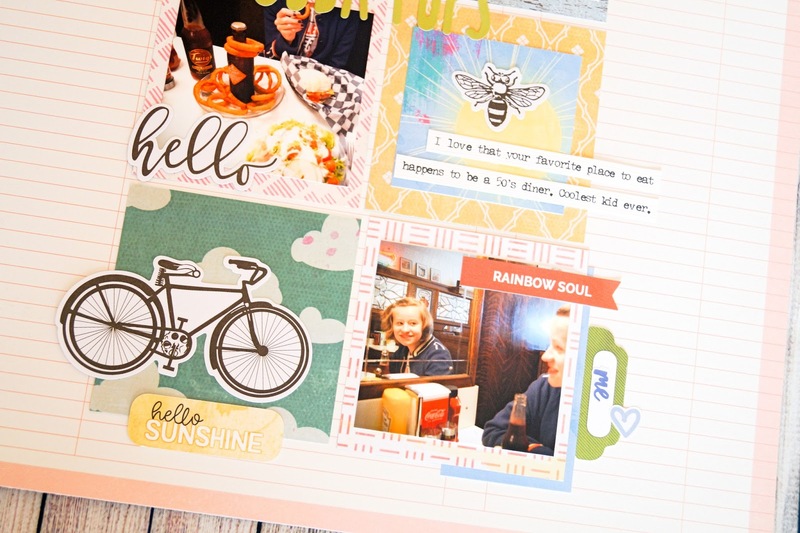 Lots to share and document when it comes to our homeschooling days. Anyways...it's the start of the weekend, finally! I have my teen book club meeting at the library today and then I hope to catch up on some much needed rest, family time and maybe even some time to get creative. Assuming I haven't lost my groove! I've been wanting to scrap these photos from when I took Zoey to an old 50's diner called Soda Pops, for the longest time. I ended up cropping them and using them with a completely random mix of papers and embellishments here and I think it works. They are fun and happy photos...it's her favorite place to eat now and she keeps asking when we'll be going back. I can't wait to surprise her with the next visit. Often times when I'm feeling stuck I'll resort to using a grid design on my pages...it's a recipe for design that I know and feels comfortable. Do you have a go-to design that you resort to using when you are feeling stuck? 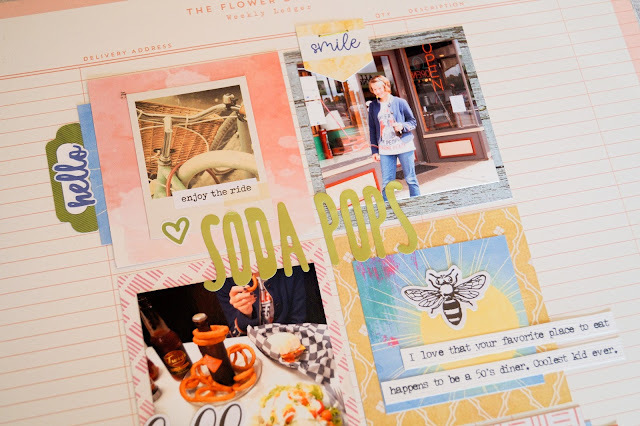 Sharing another layout here using the Cocoa Daisy kits for March. I used lots of little bits on this one but I think my favorite embellishments may be the chipboard cloud stickers. So cute! 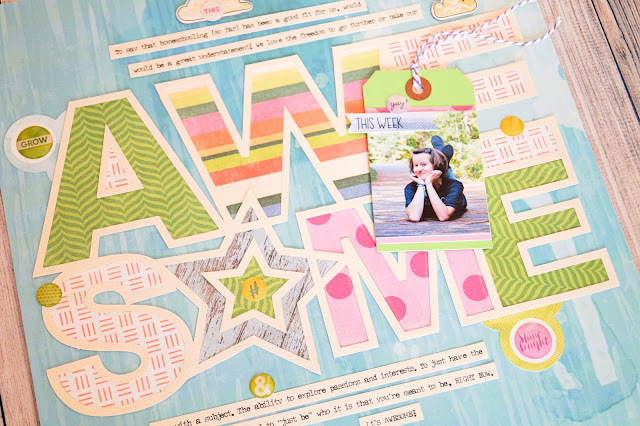 And I always love how chipboard adds so much dimension to a page and so easily too! To mat my photos I used a border punch to punch out some cardstock and did some machine zig-zag stitching as well. The rest of my week is c-r-a-z-y...lots of things being juggled right now. Homeschooling, getting our taxes done, planning programs for summer at the library and our monthly teen book club meeting is this weekend. 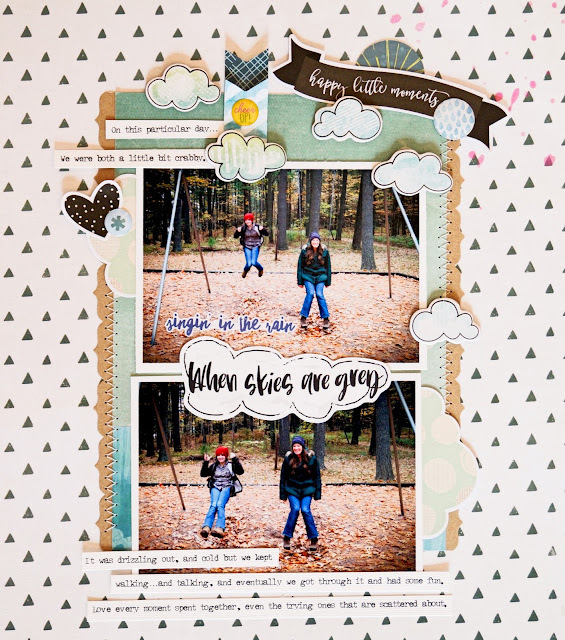 So glad that I was able to carve a bit of time to work on my scrapbooking for Cocoa Daisy before the craziness began in it's entirety. If I'm being honest, I cannot wait for this week to be over with. Fun things are on deck as well as some yucky stuff that just needs doing.